Looking for Motorcycle Gifts and Apparel? 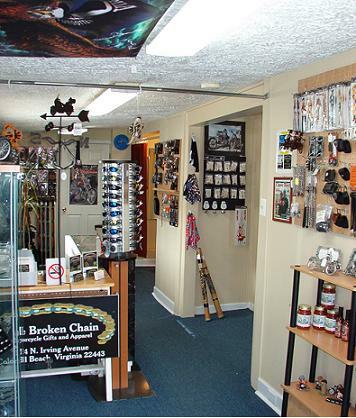 Just around the corner from the VFW Post, you'll find the Motorcycle Gifts and Apparel shop called The Broken Chain. 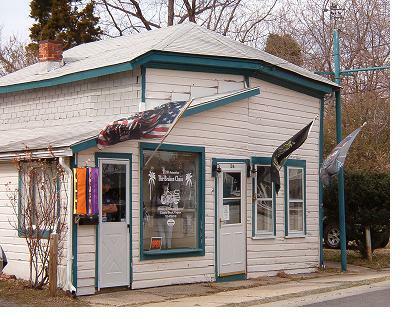 This year marks the shop's fifth season in business, and I was lucky enough to visit on an unusually nice mid-February weekend when the weather was warm and the shop was open. 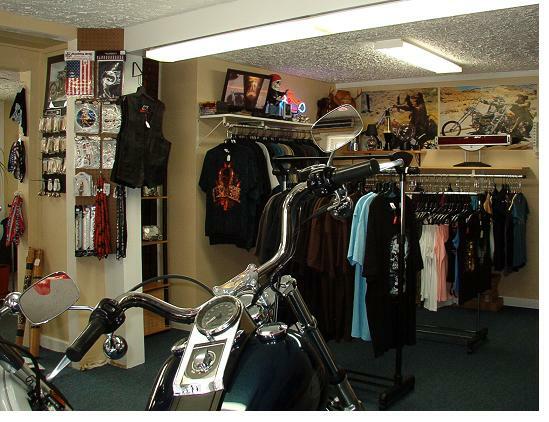 Owner Carter Timberlake and Manager Denise Anderson have a great shop here, carrying a wide variety of items for bikers including clothing, bags, sunglasses, decals, picture frames and lots more. There are even a couple of cycles parked in the shop. The store is normally open on weekends and holidays from March to about September/October. Stop in and see it next time you're in the area. I think you'll enjoy it. My visit made me want to get my motorcycle out of winter storage and ride. It'll be good to get back on the bike.